Outside the world of paid employment, the individuals most prone to stress and burnout are family caregivers. Besides the physical and emotional toll of caregiving, there are additional stressors such as having to deal with family members on a daily basis – situations that are often rife with tension. How can home care services and home care software alleviate this tension and stress? 1. 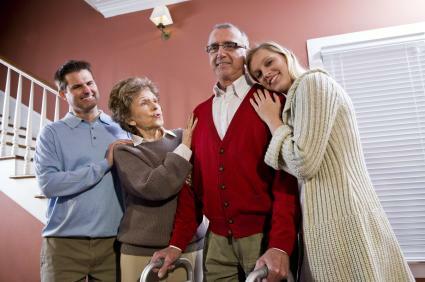 Home care allows families to share the burden of caregiving. Remember the age-old adage “trouble shared is trouble halved”? Spreading out the responsibilities of care is the only way to ensure that no one person becomes overworked and overwhelmed. Utilizing home care services gives families the opportunity to spend time away from the world of caregiving. Relying on a quality home care system like ClearCare ensures that families stay completely involved in their loved ones care – even if they cannot physically be present. Caregivers update each daily task via ClearCare’s web-based home care software so families will always know exactly what goes on while they are away. 2. Home care helps identify family roles and responsibilities. Now that families have some free time, they will be able to sit down and have regular meetings together. This kind of communication is essential when deciding on each sibling’s role and responsibilities. ClearCare’s home care system and home care software facilitate good communication between caregivers and family members – as well as ensuring that a schedule is always in place. Identifying each family member’s role will ease much of the tension caused by uncertainty and doubt – creating a more peaceful atmosphere within the home. 3. Home care alleviates financial strain. The average caregiver is a 49-year old woman who dedicates at least 20 hours to caregiving, has at least one child at home, and works secularly. In addition to feelings of isolation and depression, most caregivers admit experiencing significant financial strain and tension. Many family caregivers end up having to turn down promotions because of conflicting responsibilities, while some lose their jobs completely. Home care has been the solution for countless families in similar financial situations. ClearCare’s home care software contributes to the solution by providing the most affordable home care system available. Families can be confident their loved ones are receiving quality care without having to sacrifice their savings. Adult siblings that work together for the sake of an aging parent face numerous challenges and tense situations. Taking advantage of home care services has been helpful for many families who have reached the breaking point. With the additional assistance of ClearCare’s home care system and home care software, relationships can be salvaged and restored. If your family is experiencing tension and stress as a result of caregiving responsibilities, consider trying home care. Be sure to ask each agency you interview if they offer ClearCare’s helpful home care system and home care software so that you can give your loved one the best care possible.